Is Gus Hansen Making a Comeback? 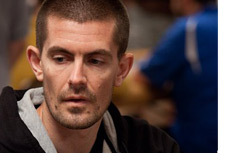 The fact that Gus Hansen has lost obscene amounts of money while playing on Full Tilt Poker has been well-chronicled. As a matter of fact, we wrote an article just a few weeks ago that talked about how Gus had reportedly lost over $10 million ($10,396,380.00 to be exact) from October 11th, 2008 to October 10th, 2010 on Full Tilt Poker. Even after finally winning his first World Series of Poker bracelet at the WSOPE, Gus continued to hemmorrhage money online, dropping further and further into the hole. Since October 10th, Gus Hansen has enjoyed a rare upswing on FTP, banking a little over $1.34 million over 14,739 tracked hands. Hansen topped off his recent strong run over the last few weeks by taking hundreds of thousands of dollars from a player that he has had plenty of history with, Di Dang, aka "Urindanger". Thanks to his recent hot run, Gus Hansen is now down about $2.3 million on Full Tilt Poker in 2010, which puts him in second place behind the defunct "Brian Townsend" account. Brian Townsend lost over $2.5 million in 2010 before switching to his traditional "sbrugby" account earlier this year, where he has dropped an additional $1.65 million. Did Hansen's win at the World Series of Poker Europe give him a renewed sense of confidence that will transfer into further gains on Full Tilt Poker? Or is this just another temporary uptick that will soon be washed away by another monster downswing?